Arne Roland, former Regional Director of CHC Helikopter Service, professional investor and board member, joins Fishency as Chairman of the Board and first outside angel investor. Mr. Roland has 25 years of experience in various leadership and board positions, across oil & gas, aviation and property development. As the first outside investor, Mr. Roland brings a strategic investment to help accelerate the next phase of Fishency’s development. Fishency is currently developing its in-house solution for automated sea lice counting, combined with data-driven services, working closely with strategic partners and early-stage customers. «I find the growth potential in the global aquaculture industry to be staggering, and Fishency’s combined hardware and data solution can be a real game-changer in the industry. I am truly excited to join the team», says Mr. Roland. Fishency was founded during the X2 Labs’ Accelerator Program “Morgendagens Havbruk”, in Stavanger, March 2017. Roland, while leading CHC Helikopter Service increased company profits by 10X in his final year. «Mr. Roland brings a wealth of business expertise to the company, including experience from Aker, Kværner and international board roles», says Co-Founder and CEO Flavie Gohin. «He brings deep, proven expertise from technology and customer-driven operations, and has held key roles during major turnarounds and re-structuring projects. He has held senior roles within finance, M&A, and project management, and adds significant top leadership experience to the team», adds Gohin. Mr. Roland’s entry into the company is the first step in the company’s growth plan, going from a young startup to an early-stage growth company. The company plans to add a number of new board members, investors and employees over the next 12 months. Earlier this month, Fishency announced better than expected results on the initial tests in a live operational environment, receiving significant positive interest from early pilot users. «I believe we are perfectly positioned for the coming digital growth in the global aquaculture industry, starting with automated sea lice counting», says CEO Gohin. The undisclosed angel investment comes at a key stage for the startup and will be used to match research grants available within the industry. Building on the momentum and proven market interest, Fishency aims for another round of fundraising during Q1 or Q2 2018, and are already in advanced talks with potential investors. Fishency Innovation AS (Fishency) develops and commercializes the "SmartFunnel" - enabling a move from manual to automated sea lice counting for the aquaculture industry. The technology has also significant potential as a remote platform for Smart Aquaculture based on Big Data. Backed by fish farming operator companies and the Norwegian Research Council, the company installed a full scale prototype in January 2018. Results are highly encouraging. 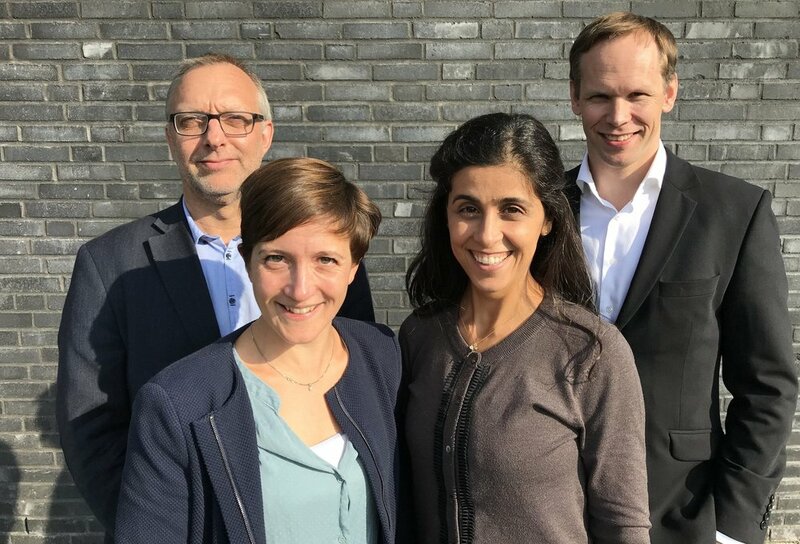 Fishency was founded in the X2 Labs’ program, “Morgendagens Havbruk”, in March 2017, and has received initial funding from X2 Labs and core team members.